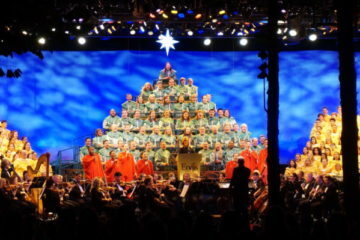 A common misconception is that Disney World is only for families with little kids. This is most definitely not true! Walt Disney World is one of the most popular honeymoon destinations on the planet, and a Disney honeymoon can be one of the most romantic vacations you’ve ever had; it’s all about planning and customizing. 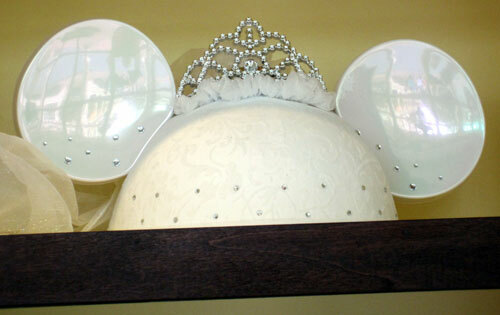 Fortunately, Disney makes planning and customizing super easy with the Disney Honeymoon Registry. This registry works just like other registries in that you choose items (or, in this case, activities) that you want, and your guests can purchase the items online. Here are some activities to do on your honeymoon to make it extra special. Photopass Photographers are available at several locations around the parks. They will take your picture with your camera, and they will take several pictures of their own. They will even customize some of your pictures! Do you want a picture holding Tinkerbelle? No problem! Is your new hubby extra hunky? The photographer will pose you squeezing his muscles. All of these photos will be linked to your MagicBand or your PhotoPass card, and you can access the photos online at MyDisneyExperience. To be sure that your photos will be a life-long memory, get Disney’s Memory Maker so you can download all of your photos and save them for all eternity. 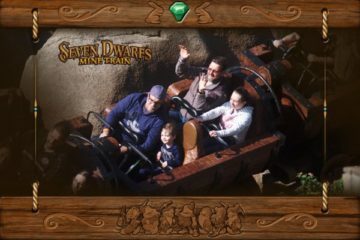 There are very few things at Disney World that are truly free. The celebratory buttons are one exception to that rule. Get “Just Married” buttons, so everywhere you go, people can wish you good fortune as newlyweds. If you want to spend a little more money, you can get Bride and Groom ear hats. They’ll even embroider your name on the hats! 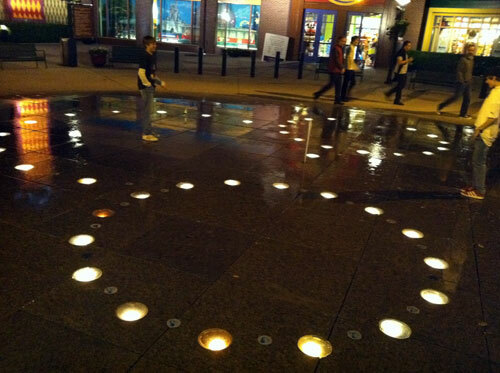 For a more sophisticated keepsake, stop by Liberty Square, and find your [new] family crest. The artists have a database of several thousand names, so there’s a good change they’ll have yours. Order your own print, and hang the crest in your new home. Bonus: You’ll get major points with your in-laws for this one! 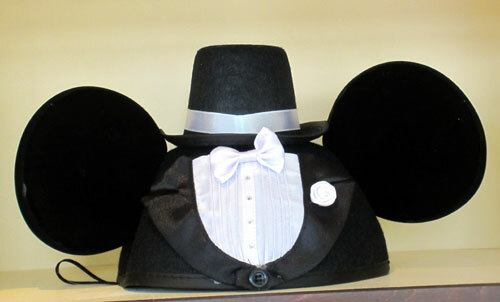 This hidden Mickey doubles as an audio-animatronic with water spraying along with the music. 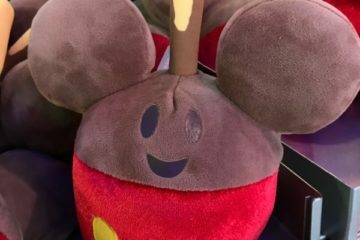 There are literally whole books devoted to the hidden Mickeys at Disney World. Buy a book and spend a day searching all over Disney property for these hidden gems. It’s weirdly satisfying to find one! Are you and your new boo the competitive type? See how many you can find, and agree that the loser has to do something special for the winner! 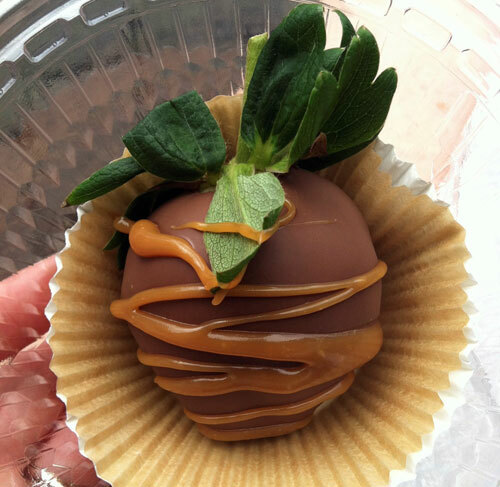 Beaches and Cream at Disney’s Beach Club Resort and the Main Street Ice Cream Parlor at the Magic Kingdom offer a treat almost as sweet as the kiss you shared on your wedding day. The Kitchen Sink Sundae comes in a special souvenir bowl (which looks more like Mickey’s pants than a sink) with a faucet and knobs like a sink. Although each location does the sundae a little differently, suffice it to say that you’ll get a ton of ice cream, all kinds of toppings, and a very full stomach! Put your kitchen sink souvenir bowl in your kitchen at home, and remember the time you indulged yourselves on your honeymoon. California Grill in Disney’s Contemporary Resort has one of the best views of Wishes Nighttime Spectacular Fireworks Show. This 15th floor restaurant dims the lights just before the show and pipes in the music from the park. Book a table during the show or dine anytime and return in time for the fireworks to watch from the outside observation deck. The Sci-fi Dine-In Theater Restaurant is set in a ‘50s drive in style. This is the only restaurant on property that requires you and your hunni to sit side by side. Scary movie? Just get closer! Eat or Drink around the world in EPCOT’s World Showcase. 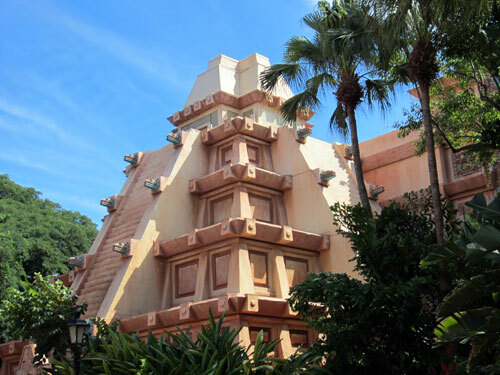 Each country in World Showcase has location-specific food and drinks to sample. 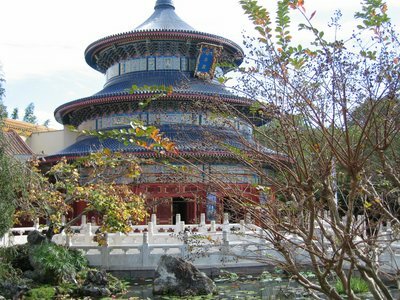 Travel the world without leaving Central Florida! Try the chocolate treats in the Germany pavilion. Disney Florist will customize a special surprise, which will be delivered right to your room. Choose a package like Toast to Happily Ever After, which includes crackers, cheese, chocolates, sparkling cider, wine, or champagne, and Mickey Mouse keepsake flutes, or customize a gift including everything from golf accessories to nachos and salsa. Disney’s Port Orleans Resort offers a very romantic horse-drawn carriage tour of the scenic Riverside grounds. What better excuse to get close and enjoy the sights? Several Disney resort hotels have a campfire complete with marshmallows for roasting followed by a Disney movie. Cuddle up and watch a Disney movie together then talk about how your life is like a Disney fairytale! 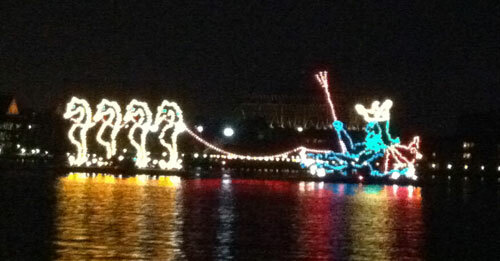 The Electric Water Pageant is a great romantic end to an evening. The Electric Water Pageant is often overlooked since it happens outside of all the hustle and bustle of the parks. This makes it a perfect end to a beautiful day as a newlywed couple. You can see this impressive display from the beach of any of the Magic Kingdom hotels. A couples’ massage is both relaxing and romantic. 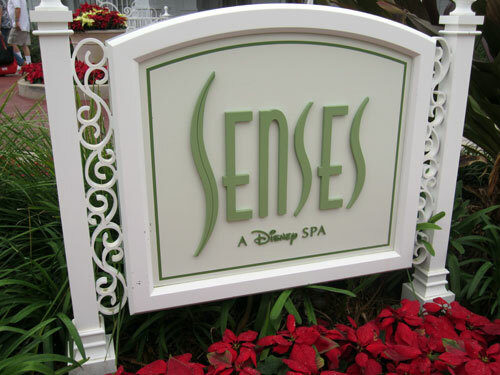 Before you return to the craziness of the real world, take some time to relax together at one of the Disney World Resort Spas including Senses- a Disney Spa at the Grand Floridian or Saratoga Springs or Mandara Spa at Swan & Dolphin Hotel. Would you like to spend your honeymoon at Disney World?